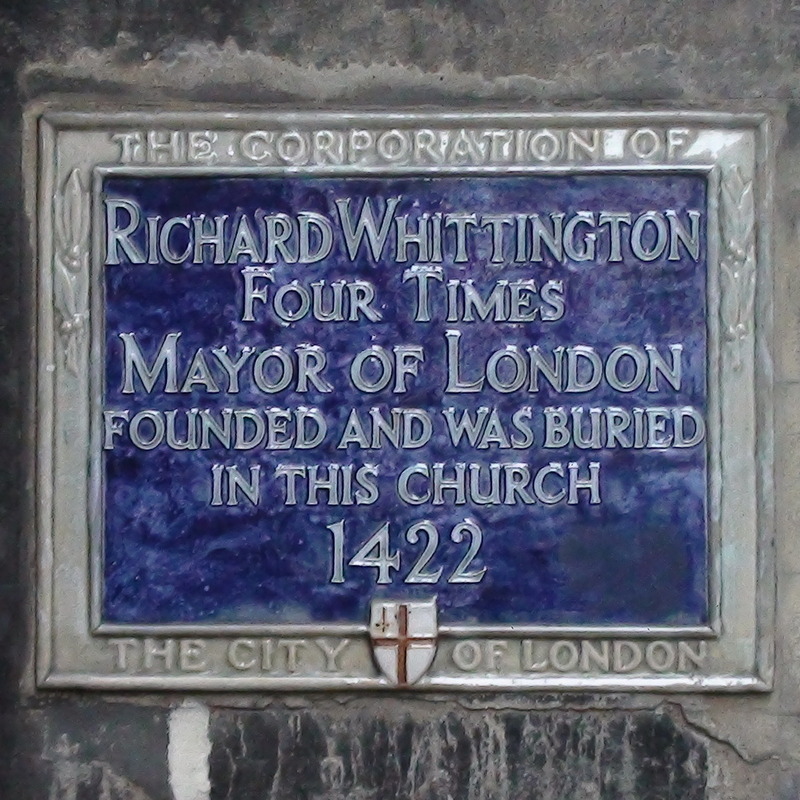 Richard Whittington, four times Mayor of London, founded and was buried in this church, 1422. Whittington lived nearby and paid for the rebuilding and enlargement of the church St Michael Paternoster Royal. Upper Thames Street is where the river bank used to be so this house was very close to the river. 2017: Londonist (who else?) report that Whittington funded the construction of a massive toilet with seats for 128 people. Opened in 1421 Whittington's Longhouse was probably located just the other side of Upper Thames Street - we'd guess it was right on the river. And it would seem likely that he gave some of his own land for the purpose.